While economics is a social science, which studies how people, maximize gains from limited resources, i.e. selects the best alternative with the objective of maximizing gains. Conversely, finance is the spine of the business, without which it is impossible for the firms to survive and grow in the long run. Many people are unaware of the fact that economics and finance are two different subjects and so they end up juxtaposing these two. So, here we are presenting you the article which will simplify the difference between the two subjects. Meaning Finance means optimization of funds in the best possible manner. Economics is the study of how the unlimited wants of the people are satisfied through the limited resources. Branches Personal Finance, Public Finance and Corporate Finance. Microeconomics and Macroeconomics. Career Mastering in Finance will make a person a 'Financial Analyst'. Mastering in Economics will make a person an 'Economist'. Aim Maximization of Wealth. Optimization of scarce resources. Economics is concerned with the production, distribution, consumption of goods or services, transfer of wealth and all the other factors which affect them. It aims at analyzing, how the economies function and how the agents (people) interacts within the market and make decisions. It explains that how the limited (scarce) resources are allocated between many consumers, such that an efficient utilization is being done. Finance is the study of an optimum allocation of assets i.e. the investments to be made by the organization or individuals so that it will bring the highest possible returns over time. It is nothing, but the arrangement and management of business funds, in fact, it is the lifeblood of business without which no entity can survive for a long time. It mainly concentrates on the money flows, fluctuations in the interest rates, rise/ fall in the prices, variations in markets, etc. It revolves around three things i.e. money, time and risk involved. Economics is concerned with the production, consumption, exchange of goods and services along with a transfer of wealth, while the Finance is concerned with the optimum utilization of organizational funds so that it will give the higher returns on its investment. Economics is not a part of finance, but finance is a part of economics. Economics mainly aims at focusing on the money value of time, i.e. the sum of money; a person can spend to buy ‘time’., whereas Finance concentrates on the time value of money, i.e. a rupee today is more valuable than a rupee one-year later. Economics explains the factors behind the surplus or deficit of the goods and services, which affects the whole society while finance explains the reasons behind the fluctuation of interest rates, variations in prices of any commodity, inflow, and outflow of cash, etc. Economics is a social science which studies the management of goods and services, but Finance is a science that studies the arrangement and management of funds (lending, saving, spending, investment, etc.). Economics aims at optimization of resources which are limited in nature, whereas Finance aims at maximization of wealth. Microeconomics is that branch of economics, which is mainly concerned with the individual units such as a consumer, a firm, industry, household, etc. It basically analyses the demand and supply of goods in a particular market segment along with the prices of related goods and substitutes. Macroeconomics is that branch of economics, which focuses on the study of aggregate variables and those issues which affect the whole economy like unemployment, poverty, general price level, national income, etc. Personal Finance is related to the income and expenditure of an individual or household, wherein the savings, investments and the amount spent by them as expenses are taken into the consideration. Public Finance is concerned with the activities of government in the economy i.e. government revenue from various sources like taxes, penalties, fees, duties, etc. and its expenditure on the development of roads, airports, education, sewage and many other developmental activities. 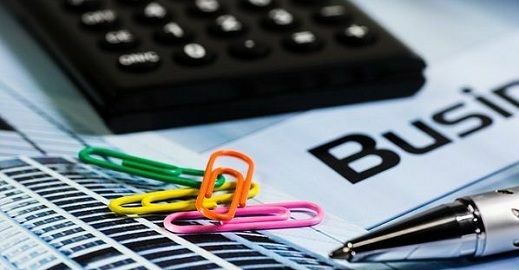 Corporate Finance or Business Finance is concerned with the management of the funds of the organization, in such a way, that the wealth of the corporation should be maximized thereby, increasing the value of stock in the market. Both the terms Economics and Finance has its relevance in resolving the various issues of the economy. Such as, economics is needed to solve the problems of unemployment, poverty and the allocation of scarce resources., and if we talk about the higher returns on the investment, the finance comes into the picture. At some points, they are converging, as both the terms cover the field of public finance in it. Although they seem to us as separate disciplines, actually, they both influence each other.